MBI (Military Ballistic Industries) is becoming much more well-known now that they are producing new ammunition and since they have been a stalwart in the remanufactured ammunition market for so long. They are among the top companies with the best reputation in the REMAN industry, which is a very tough market to reside in, with a lot of scrutiny from consumers. MBI has weathered their tenure there nicely, with a very favorable consumer perception and it is earned. The company utilized top tier components for their remanufactured ammunition that sometimes was better than the factory new competitors they compete against. With the addition of brand new ammunition to their already well-known line of remanufactured rounds, MBI can really up the game on their offerings and help keep a busy market satisfied with volume availability. 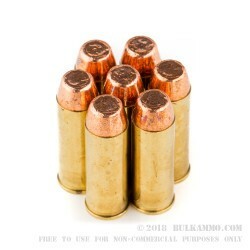 The pricing is favorable and the rounds are very consistent. For many years, MBI has been producing top quality ammunition that understands the importance of performance and reliability. 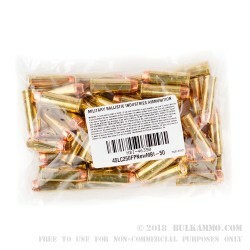 This is a 1000 round case of .45 LC (.45 Long Colt) ammunition that is packaged into 50 round bags with 20 bags in the case. 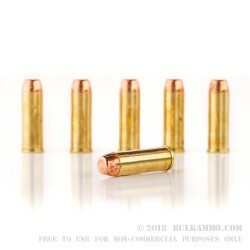 The projectile is a lead based full metal jacketed projectile with a popular flat nosed configuration.